Unbelievable Offer! Eucharistic Miracles 3-Books + eBooks Set at only $20! Plan ahead for Christmas! 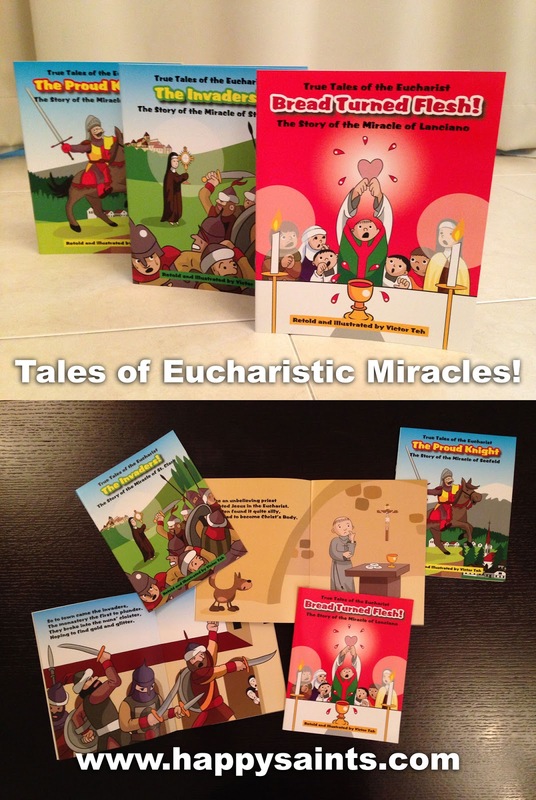 How about a gift of a Eucharistic Miracles picture book set? 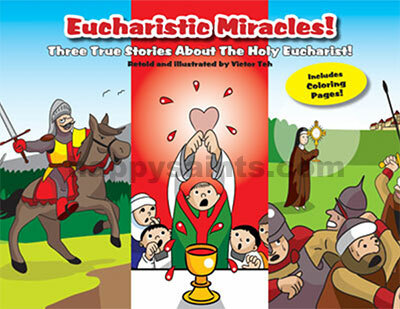 You can now purchase a complete package of 3 Eucharistic Miracle books and ebooks for only USD$20! And this includes a flat rate worldwide shipping! The 'True Tales of the Eucharist' series retells famous Eucharistic Miracles in full color illustrations that children and everyone else will enjoy and be inspired by the Real Presence of Jesus in the Eucharist! The series features 3 books: 'Bread Turn Flesh!' (Lanciano), 'The Invaders!' (St. Clare, Assisi) and 'The Proud Knight' (Seefeld, Austria). The digital PDF versions are printable and come with coloring pages. For convenience, they come in a single PDF file which includes all 3 stories. You can now get the entire package of 3 books and PDF versions for a great price!